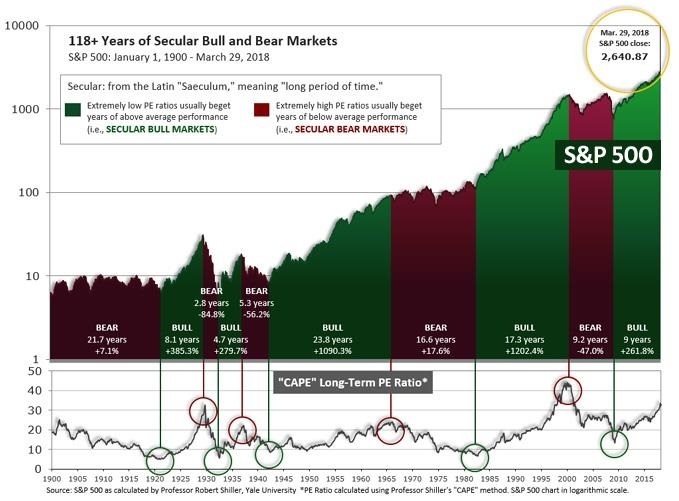 In the "decades" timeframe, the current Secular Bull Market could turn out to be among the shorter Secular Bull markets on record. This is because of the long-term valuation of the market which, after only eight years, has reached the upper end of its normal range. See Fig. 1 for the 100-year view of Secular Bulls and Bears. The CAPE is now at 32.74, down from the prior week’s 33.03, and exceeds the level reached at the pre-crash high in October, 2007. This value is in the lower end of the “mania” range. 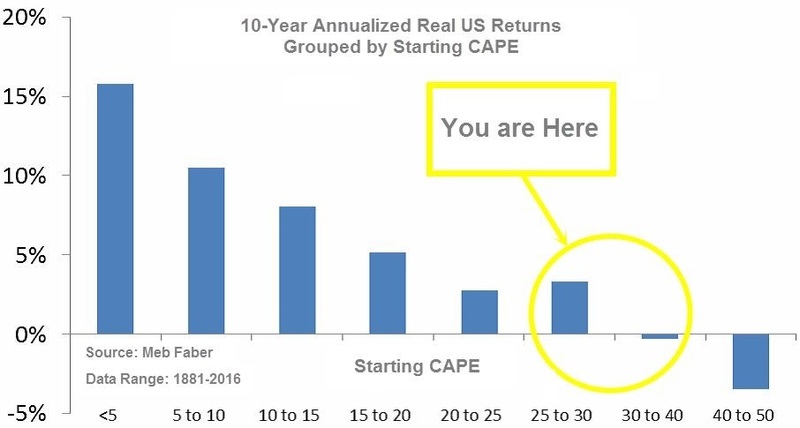 Since 1881, the average annual return for all ten year periods that began with a CAPE around this level have been in the 0% - 3%/yr. range. (see Fig. 2).